Proving a Past Life Through Academic Studies...a proces that has evolved into a method for anyone to verify their own reincarnation. Deborah Richmond Foulkes during a seminar on Proving Reincarnation Through Mediumship, at a recent Mediumship Retreat in the Bahamas. She is wearing the garnet brooch handed down through the family from her great, great grandmother Elizabeth Cordiss Foster Deming. Deborah Richmond Foulkes, FSAScot, CM is a recognized historical researcher and author of three books on the medieval Douglas Clan, also available through Authorhouse. The series known as the Douglas Trilogy was developed through extensive research. The author spent nearly four years traveling through Scotland and England to find every historical site referenced in her book, contacting the National Archives of both Scotland and England for original documents and studying at the National Library of Scotland in Edinburgh utilizing her two year Readers Pass. She is a lifetime member of Clan Douglas Society of North America and a Fellow of the Society of Antiquaries Scotland. Deborah Foulkes’ credentials for historical research served to compliment her other passion, her belief in Spiritualism. A Certified Medium in the Spiritualist Church and an ordained minister, Deborah Richmond Foulkes has combined her skills at Spirit Communication with her academic acumen to write a treatise on her breakthrough discovery, proving reincarnation through mediumship. RIGHT OF PASSAGE, What the Dead say about Reincarnation, is the template for proving past lives for everyone. Deborah Foulkes shows us that prior incarnations can be validated through facts revealed through messages from Spirit that are verified through the use of original, historical documents. The importance of her discovery is that the personality of the soul remains constant lifetime over lifetime. As a Medium, Deborah has demonstrated Spirit Communication internationally in Belgium, Finland, England, Scotland, Canada, and the Bahamas. In the United States, she has presented her skills at mediumship to audiences from New York to California, and from New Hampshire to Florida. 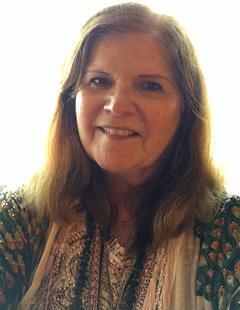 She has studied Trance Mediumship at the Arthur Findlay College at Stansted, England and has taken the Morris Pratt Institute three year certification course for mediumship. Deborah has also studied with Dr. Brian Weiss, taking his course in Past Life Regression Therapy. She is also a Reiki Master and Practitioner. As an author and medium, her work been featured on BBC Scotland, the ION network in Chicago, NBC Channel 17 in Raleigh, NC and the Comcast Network in Philadelphia and Boston. A Spiritualist, author and historical researcher, a Spiritual Medium, and a Reiki Master , Deborah Richmond Foulkes has taken Mediumship to another level, to prove that past lives are a fact and that reincarnation is not just desirable, but a necessity for soul growth and development.